Rhiannon is the managing editor of cahoodaloodaling, and a book reviewer and associate interviewer for Up the Staircase Quarterly. 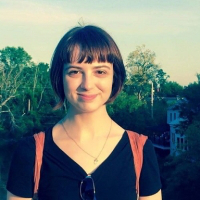 A 2016 BinderCon LA Scholarship recipient, Rhiannon’s poetry has been published or is forthcoming in Black Warrior Review, Manchester Review, The Pedestal Magazine, and The Doctor T. J. Eckleburg Review, among others. April is the editor-in-chief of Up the Staircase Quarterly. 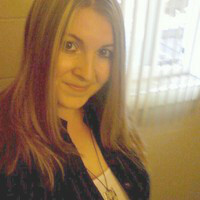 Originally from Marrero, Louisiana, she has a BA in English from Minot State University in North Dakota. 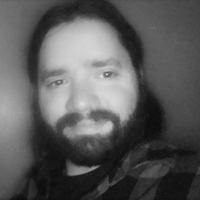 April’s work has appeared or is forthcoming in Southeast Review, Zone 3, THRUSH Poetry Journal, The Boiler Journal, and Gargoyle, among others. 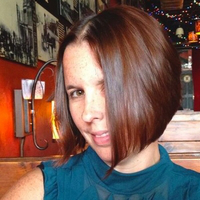 She is also a contributing editor at Words Dance Publishing where she writes the article “Three to Read.” April’s latest chapbook, Anne with an E, was published by dancing girl press in 2015. 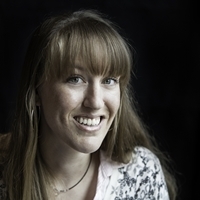 Natalie’s poems have appeared in such publications as Jet Fuel Review, Superstition Review, and Sweet. She was nominated for a Pushcart in 2014, and was a contributor at Bread Loaf in 2015. Later that year she went to Firefly Farms in Knoxville, Tennessee, for a week-long SAFTA residency. 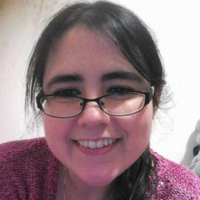 Anastasia is the literature editor at cahoodaloodaling, and writer and co-creator of the webcomic Ever Night, as well as upcoming projects Theta (webcomic) and Pinion (first novel of a series), along with being an all-around editor and wordsmith. Her work has appeared in A+ and on occasion she writes for Kabooooom! and edits the Cogar’s Adventure Series by Nate Granzow. A 2011 Drake University graduate, she has a B.A. in Writing and a minor in Film Studies. Alexis is queer black writer whose work can be found in EEEL, Freezeray Poetry, and Rising Phoenix Press. 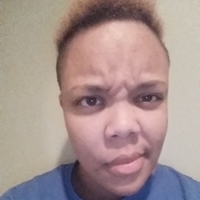 A 2016 Summer LAMBDA Literary Emerging Writer Fellow, Alexis currently interns at Winter Tangerine Review and serves as contributing editor for Words Dance. Graham is a Chattanooga Tennessee native. He graduated from the University of Tennessee at Chattanooga with a B.A. in Communications and a M.A. in Creative Writing. He is a writer, musician, and early medieval amateur historian. Currently he is an editorial intern with Sundress Publications. Erin is the Creative Director at the Sundress Academy for the Arts and the author of two full-length collections, The Naming of Strays (Gold Wake, 2011) and The Fear of Being Found, which will be re-released from Zoetic Press later this year. Her poems have appeared in numerous journals, including Mid-American, 32 Poems, Zone 3, Gargoyle, Tusculum Review, and Crab Orchard Review. She holds a PhD in Creative Writing and teaches a bit of everything in the English Department at the University of Tennessee. She serves as the managing editor of Sundress Publications and The Wardrobe. Kevin has 20 years’ experience running corporate communications and marketing for some of the world’s largest technology companies. 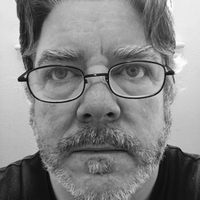 His poetry and short fiction has been published or is forthcoming in Clifton, Cincinnati Poetry Review, cahoodaloodaling, America Is Not the World, and Slim Volume: See into the Dark. He lives in Benbrook, Texas. Orooj-e-Zafar, Michelle & Jim Lehmann, T.A. Noonan, Meggie Royer, Mallika Mitra, Kaveh Akbar, Sarah Blake, Chen Chen, Siaara Freeman, Megan Peak, Sam Slaughter, Darren Demaree, Francesca Bell, Heather Bell, Kate Hammerich, Adam Morgan, & Minadora Macheret. Rattle, Sundress Publications, Milkweed Editions, Sentimental Asylum, SAFTA, Copper Canyon Press, Alice James Books, BOA Editions, Words Dance Publishing, & Maverick Duck Press. This summer we are hosting a book fair to raise funds and awareness for the awards. We are seeking pledges of books and issues of literary journals from publishers for our fundraiser. Pledges will be advertised and offered during our book fair as gifts to our donors. For more information and to get involved, contact us using the form here. Julia Gorst, Tristan Thorne, Sue Close, Donna Vorreyer, Sarah Schoenholtz, Duane Kirby Jensen, Anthony Frame, Kelly Rawlinson, Beatriz Fernandez, Bruce Niedt, S Balkun, Francesca Bell, Stephen John Furlong, Robin Ay, Frank Reardon, Annie Thorne, Leah Maines, Heidi Czerwiec, Rosalind F Kaliden, Sophie Chouinard, Amorak Huey, Eva M. DiGiorgio, Hanif Abdurraqib, Kelly McClernan, Trish Hopkinson, Fritz Ward, Kailey Tedesco, T Matos, Jenelle D’Alessandro, & all of our anonymous donors. If you are interested in being a corporate sponsor, please contact us using this form. Show your support by following us and ! Thank you!